Smart parking systems maker Parkwheels has raised Rs 1.2 crore (around $160,000 at current exchange rates) in a seed round of funding, a co-founder told TechCircle. The investors who participated in this round include co-working startup 91Springboard, Amit Lakhotia, former vice president at mobile wallet Paytm and an undisclosed Kuwait-based investment firm. Existing investors Anchit Lakhotiya and Sonit Singh, former executive director and former head of real estate coverage at Standard Chartered Bank, respectively, also participated in the round. Dhananjay Rathore, co-founder of Parkwheels told TechCircle that the startup will primarily use the funding to strengthen its technology platform and serve its current order books. Parkwheels, operated by Gurugram-based Ovunque Innovations Pvt. Ltd, claims that users can use its RFID (radio-frequency identification) to park their vehicles. Their RFID system consists of a sensor placed at the entry and exit of a building and a Parkwheels tag is pasted on the windscreen of user's car. 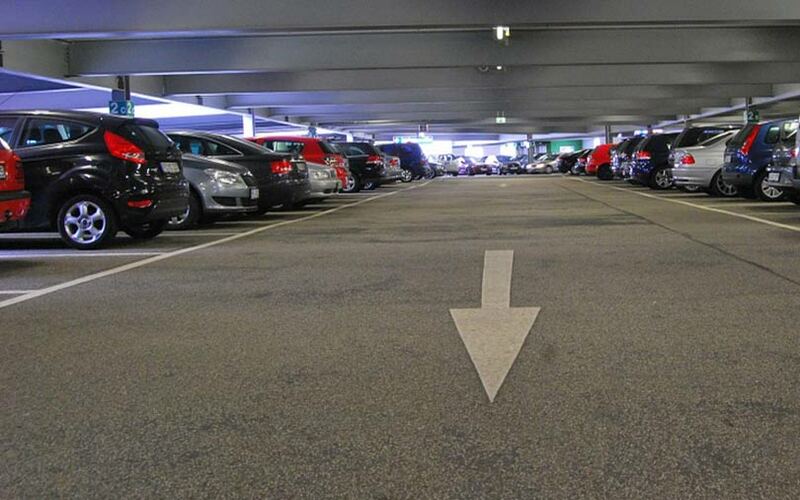 Additionally, for office buildings and malls, the company runs its service on Android and iOS apps, which helps people find real-time parking availability and pay parking charges on the go. Rathore says that the startup has 28,000 parking slots in Delhi-NCR and over 50,000 vehicles on the road have Parkwheels RFID tags. He claims that about a million vehicles go through the company's system on a monthly basis. Besides parking, Parkwheels also offers a security solution, as the firm's cloud-based technology keeps track of the entry and exit of all the vehicles and visitors. The complete data can be accessed using a dashboard provided to the management authority. “Our aim is to get maximum cars on the road with a Parkwheels RFID tag. A single tag will allow a user to move/park in malls, corporate, apartments and even across tolls (in the future),” said another co-founder, Sumit Jain. Parkwheels had raised Rs 55 lakh earlier in an angel round of funding. The startup was launched in December 2015 by Rathore and Jain who were working with robotics firm GreyOrange. In April this year, cloud-based smart parking startup Get My Parking acquired Bengaluru-based parking subscription firm Constapark. The investment came some months after Get My Parking secured $3 million (Rs 19.2 crore then) in its Series A funding round. Existing investors Indian Angel Network, which invested from its eponymous IAN Fund, Beenext and others had put in money in September 2017. The startup operates an app that provides real-time updates of parking information to commuters, enterprises and public administration firms. In October last year, Kolkata-based Park Easy Pvt. Ltd, which operates parking solutions app Peazy, had raised a pre-seed investment of $117,000 (Rs 76 lakh then) from Dutch accelerator Rockstart. Bengaluru-based Pristech Technologies Pvt. Ltd, which runs parking solutions app PParkE, had secured its seed funding from Singapore-based early-stage investment firm SB Ventures in January last year.